freddiescoins has no other items for sale. 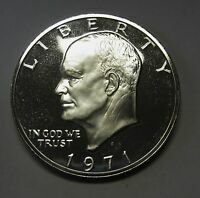 1971 Silver Eisenhower Dollar Proof "IKE SILVER DOLLAR"
1971 S PROOF Eisenhower Dollar Ike 40% Silver Gem High Grade Coin In Capsule! 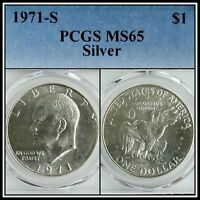 1971-D MS67 Eisenhower Clad Dollar $1 Ike, NGC Graded! 1971-S MS65 Eisenhower Dollar $1 Ike, PCGS Graded, Colorfully Toned! GARMIN GPS SYSTEMS & ACCESS. Ertl - SpecCast - R. C.
Sales tax may apply when shipping to: IA*, MN*, TN*(9.5%), WA*.